A cheering news for all the blockchain enthusiasts! 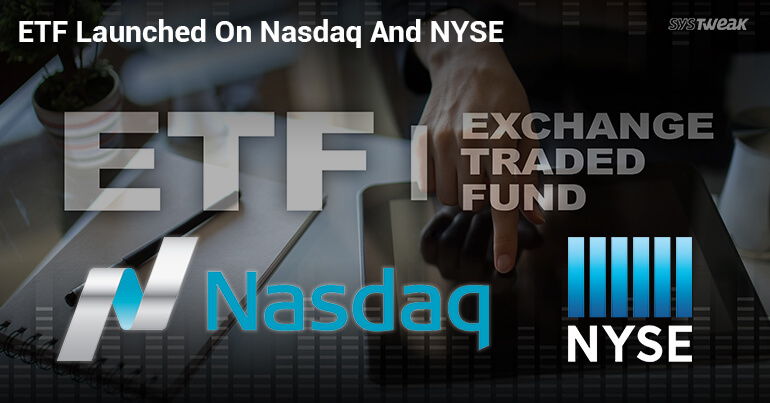 The Reality Shares Advisors and Amplify Trust ETF launched the first blockchain-based exchange-traded funds (ETFs) on Nasdaq as well as on New York Stock Exchange Arca. Not only the launch but also the opening was amusing as the Reality Shares’ Nasdaq NextGen Economy ETF (BLCN) opened at $24.20, where Amplify’s Transformational Data Sharing ETF (BLOK) started at about $20. These two organisations filed for the first ever exchange-traded fund to track the blockchain ecosystem. The step would benefit the investors as they’ll have a better exposure to the technology that is going to rule in upcoming years. According to one of the CoinDesk articles, both the ETFs would be investing in the blockchain based organisations. When the two companies first filed the prospectus, they observed that the blockchain startups are risky in terms of investment, as companies may not earn profit due to the pesky regulations over the technology. However, they later realized and decided to invest in companies with a market capitalization of at least $200 million or more and which had a six month per day trading average of at least $1 million. Salehizadeh also revealed that the group’s ETF had the term ‘blockchain’ in its name, but the USSEC (U.S. Security and Exchange Commission) had this name removed. Although, SEC hasn’t formally approved the ETFs, the formal disapproval is also not raised. In a scenario like this, the ETFs were automatically approved in the absence of disapproval. However, SEC would have a 75 days window to disapprove or raise an objection. Overall, this isn’t the first attempt towards filing a blockchain based ETFs. There have been many files initiated but none made it through. Reality Shares and Amplify Trust (the mining tool manufacturer) either got lucky or went with better preparations. The recent filing towards ETF was made by Horizons ETFs Management, which is under review by USSEC.